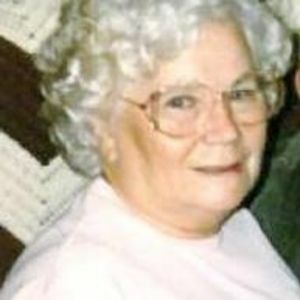 Mrs. Emily Jones Robbins, age 85, of Sharpsburg passed away on January 28, 2016 at her home. Her loves were her flowers, gardening, crocheting and family. She retired from the Rocky Mount Undergarment as a Master Seamstress. She is preceded in death by her husband Dallas Robbins and great grandson Brandon Pearce. She is survived by her three sons: Phillip D. and wife Cindy Robbins of Apex, J.D. and wife Judy Robbins of Sharpsburg and Danny and wife Cynthia of Sharpsburg, seven grandchildren and seven great grandchildren. A Celebration of Life service will be held February 2, 2016 at 2 PM at Johnson Funerals and Cremations with the interment will follow in the Rocky Mount Memorial Park. The family will receive friends at the funeral home Monday, February 1, 2016 from 7 PM until 9 PM.